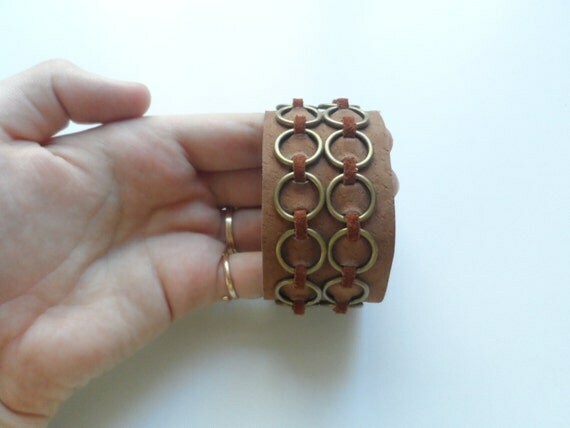 Medieval cuff bracelet at Firefly Trade Goods – Go ask Alisa – DIY capsule wardrobe one stitch at a time! 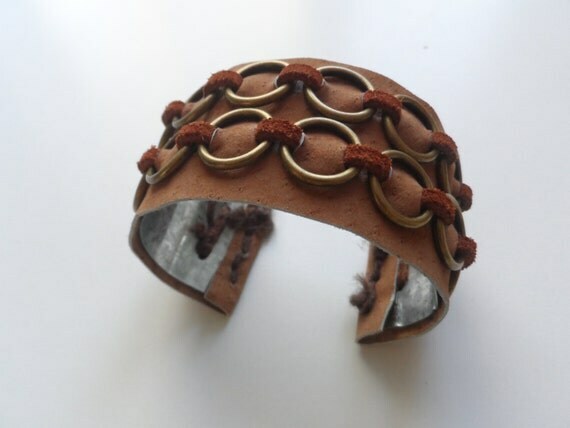 This particular genuine suede cuff bracelet you can buy here. 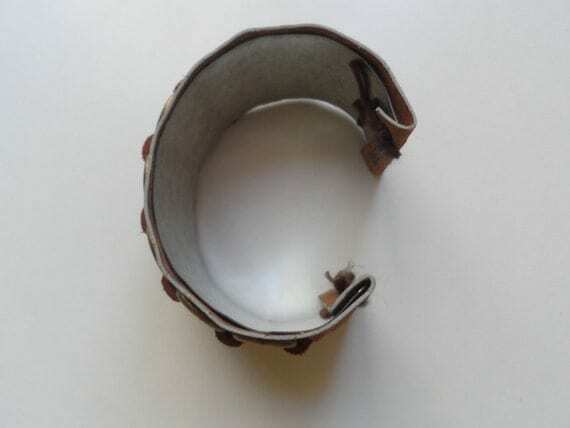 This medieval cuff bracelet was made by Jared. It is a unisex accessory, suitable for anyone. 100% handmade out of genuine suede, brass rings, steel and genuine suede cord. If you are prepping for a Renaissance fair or a medieval dress-up then this is a must have! 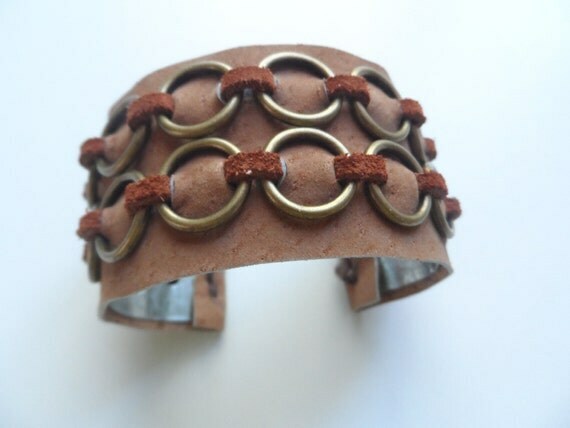 Easy to wear, durable (base is made out of steel and then coated with suede) and great looking! Next Next post: Wordless Wednesday: into the green!